The province People’s Committee chairman Vuong Binh Thanh said in 2017, An Giang achieved 17 criteria out of 21 accelerating the plan. Economic growth rate averaged 5.11 percent; budget collection rose by 13 percent while export revenue gained $820 million. In the first six months of the year, the province’s gross domestic product was 6.1 percent much higher than the same period last year while economic structure change has contributed positively to economic growth. The province stepped up agricultural production by adopting hi-technology. The governmental rural plan has received the warm welcome from residents with 33 communes being qualified and rate of poverty-stricken households reducing below 5.24 percent. Determining agriculture as its strength, An Giang province has applied hi-technology in production and grown more hi quality trees for export demand; accordingly, rice productivity has been raised for years with 4 million tons a year and the gross agricultural production value in An Giang province amounted to around VND173 million per hectare. Tra fish breeding is also an advantage of An Giang. A leader of the Department of Agriculture and Rural Development said in the first six months, the fish was raised in 897-ha farms and its production peaked over 152,000 tons. Exporters earned $140 million from selling the fish to 73 countries worldwide. Breeders earned profit because the fish was sold at high price. One more thing that residents in An Giang province can make money is from tourism. Deputy Chairman of People’s Committee Nguyen Thanh Binh said that 2017 alone, An Giang province received 7.3 million local and international visitors and its tourism revenue reached VND3,700 billion. This is a breakthrough of the province’s tourism sector thanks to its efforts in investing in hotels and restaurants; suspension cable to Cam mountain, cultural park Nui Sam, Tan Chau boat station and roads to tourist attractions. Being an agricultural province, it has focused on investing in agriculture - trade – service -construction. Of which, it verifies agriculture and tourism as two key factors; therefore, it tries to improve productivity, quality and competitiveness as well as build green economy as foundation for developing other fields. The province expands effective production models attaching with farm product processing industry and raise aquatic animal with high value. 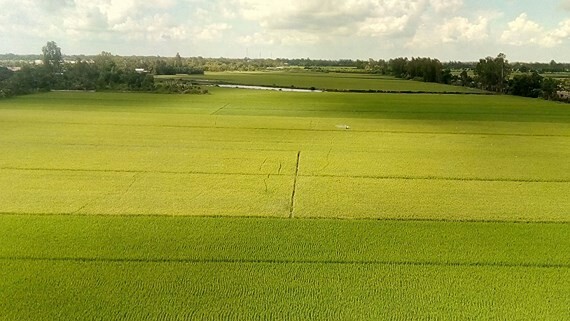 A pilot farm product research and development center has been built with the aim to link the province’s agro-products with Ho Chi Minh City, the Mekong delta City of Can Tho and Cambodia markets. Aside from that, it called for social contribution to construction of markets to sell specific fruits and vegetables of the province. Mr. Binh said that the province will develop four types of tourism including spirit tourism, sight-seeing tours, ecotourism and waterway tourism. 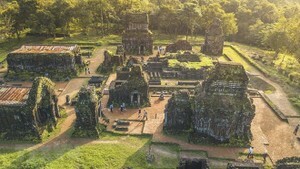 An Giang province will organize an investment promotion conference scheduled to take place this month to grant business certificates to 23 projects in the fields of agriculture, trade-service-tourism, industry, construction -urban, healthcare with total registered investment capital of VND32,423 billion ($1.3 billion). Moreover, it will sign investment agreement for other five projects with total capital of VND25,665 billion. The province is appealing for investment in hi-tech adoption farm lands, rice processing for export, raising milk cow with adoption of hi-technology and resorts.